The public involvement program for the Tucson International Airport Proposed Airfield Safety Enhancement Project EIS is designed to enable the FAA and the cooperating agencies to consult effectively with the general public, concerned interest groups and public agencies about their views, concerns and ideas regarding the scope and content of the EIS and, ultimately, the adequacy of the EIS environmental analyses. 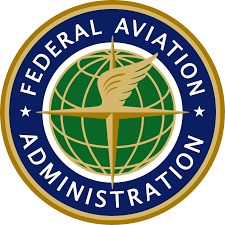 This Record of Decision (ROD) provides the final environmental determination and approval by the FAA, as lead Federal Agency, and the USAF, acting as the Cooperating Agency, to implement federal actions needed for the proposed Airfield Safety Enhancement Project and associated land transactions at the Tucson International Airport, Tucson, Pima County, Arizona. The ROD was signed by the FAA and the USAF on November 28, 2018. This ROD was prepared pursuant to Title 40, Code of Federal Regulations (C.F.R.) § 1505.2, and is consistent with Executive Order (EO) 13807, Establishing Discipline and Accountability in the Environmental Review and Permitting Process for Infrastructure Projects. This ROD discusses all alternatives considered by the FAA and USAF in reaching their decision, summarizes the analysis used to evaluate the alternatives, and briefly summarizes the potential environmental consequences of the Proposed Action and the No Action Alternative described in the Final Environmental Impact Statement (EIS) published on August 31, 2018. This ROD identifies the FAA and USAF’s preferred alternative, which is also the environmentally preferred alternative and selects the Proposed Action for implementation at TUS. In identifying the environmentally preferred alternative, the FAA and USAF have adopted all practicable means to avoid or minimize the adverse environmental impacts of the Proposed Action. This ROD identifies applicable and required mitigation. This Final Environmental Impact Statement (EIS) describes the environmental effects of the Proposed Action. The Final EIS was made available August 31, 2018 for public review. The Notice of Availability of the Final EIS was published in the Federal Register and in local newspapers on August 31, 2018. In accordance with Title 40, Code of Federal Regulations § 1506.10, the FAA and the USAF may issue a Record of Decision for the Proposed Action after 30 days have elapsed from the publication of the Notice of Availability of the Final EIS in the Federal Register. This Draft Environmental Impact Statement (EIS) describes the environmental effects of the proposed action. This document was made available to the public May 18, 2018 for public review and comment. All comments on the Draft EIS were required to be received no later than 5:00p.m. Pacific Daylight Time, Monday, July 9, 2018. The FAA hosted a Public Workshop and Hearing to discuss the Draft EIS on June 21, 2018. 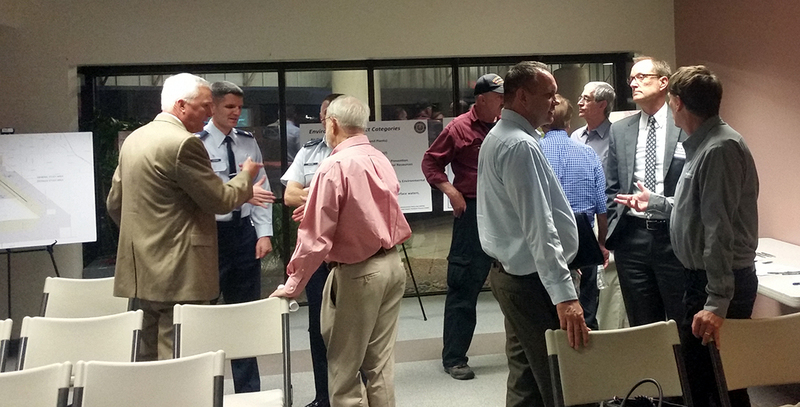 This was an opportunity for the public to provide input on the Draft EIS. Comment sheets and a chance to give oral comments were made available to the public at the meeting. The public workshop was conducted by the FAA from 5:00 p.m. to 6:00 p.m. and the public hearing was conducted from 6:00 p.m. to 8:00 p.m. Both of these events were held on the first floor of the Tucson Executive Terminal, at the base of the old Airport Traffic Control Tower building with “TUCSON” on the side, 7081 South Plumer Avenue, Tucson, Arizona. Scoping for the development of the EIS began with the publication of the Notice of Intent to prepare the EIS in the Federal Register on August 19, 2016. The FAA provided notice of the preparation of the EIS and the scoping meetings in the Arizona Daily Star and La Estrella. FAA also conducted a public scoping meeting on September 22, 2016 at the same location during the evening. The public scoping meeting was conducted in an open house format designed to inform the public about the Proposed Action and NEPA process, and allow the public to speak with FAA, USAF, NGB, and Airport Sponsor representatives on issues and concerns they would like to see addressed in the EIS. During the scoping meeting, FAA staff gave the same presentation that was given at the agency meeting. This Purpose, Need, and Alternatives Working Paper provides background information on the Tucson International Airport, a description of the Proposed Action, and the Purpose and Need to which the FAA, USAF, and NGB are responding in evaluating the proposed action and alternatives. This Working Paper also identifies and evaluates all reasonable alternatives that respond to the Purpose and Need. This document was made available to the public in April 2017 for public review and comment. 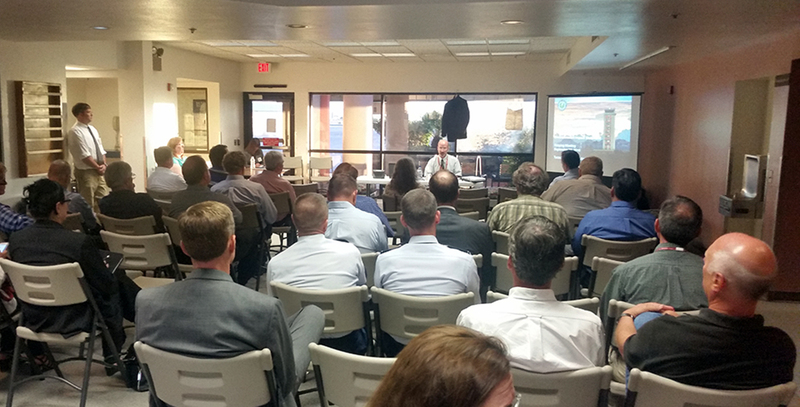 The Federal Aviation Administration (FAA) hosted a public workshop on Sept. 28, 2017, to discuss the progress of the Draft Environmental Impact Statement (DEIS) for the Proposed Airfield Safety Enhancement Project, including real property transactions, at Tucson International Airport (TUS), Pima County, Arizona (the Proposed Action). The workshop was held at Tucson Executive Terminal at the base of the Old Airport Traffic Control Tower building, 7081 South Plumber Avenue, Tucson, Arizona.